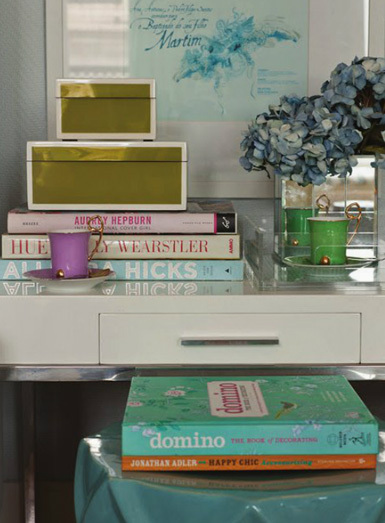 Have you read the latest issue of Adore Home? 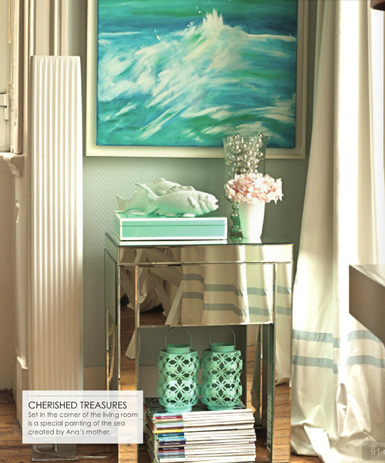 It's fabulous - packed with color, style and inspiration! When I came across this gorgeous home tour, I couldn't wait to share it with you. 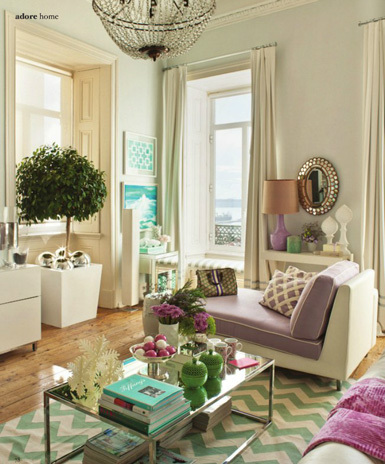 It's the home of Ana Antunes, interior decorator and TV presenter, who resides in Lisbon's fashion district, Chiado. 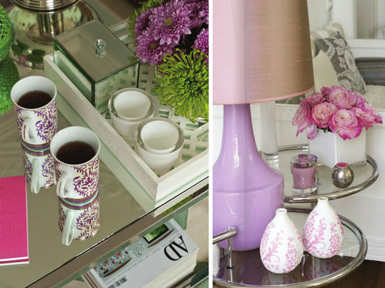 The soft color palette is sophisticated, feminine and modern. The overall feel of this home is so fresh and inviting - I would be the happiest girl in the world if I lived here! 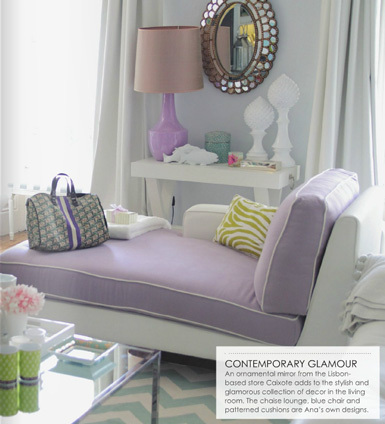 Enjoy and click here to read the article and view the entire home (begins on page 79). 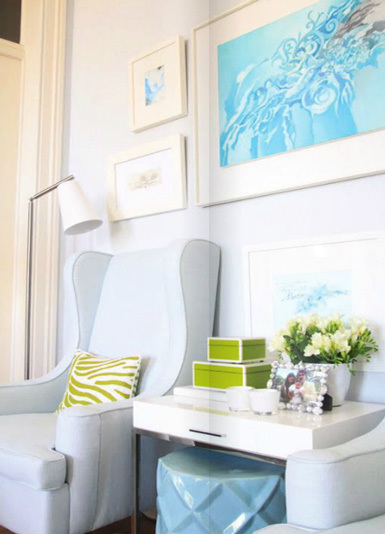 Very stylish, love the soft color palette! 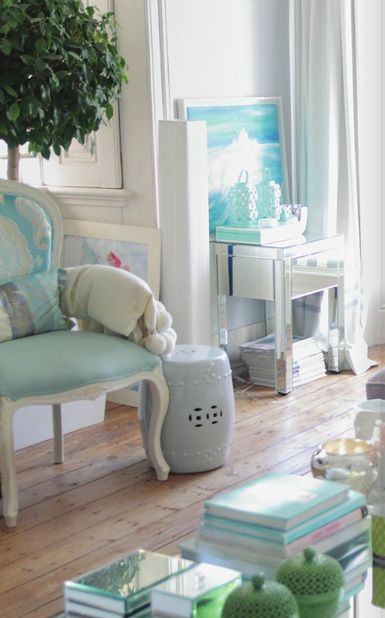 Gorgeous lavenders and aqua shades! Soft and feminine, but modern. Love! How beautiful! I love that there are definitely accent colors, but even they are soft and sweet. Simply lovely, and seeing that Domino book in one of the photos really reminded how much I miss that magazine! Love all the colors.. blend beautifully! Love the table in the first picture! I didn't even know Lisbon had a fashion district! Amazing. I feel as if I am in a modern day Versailles.